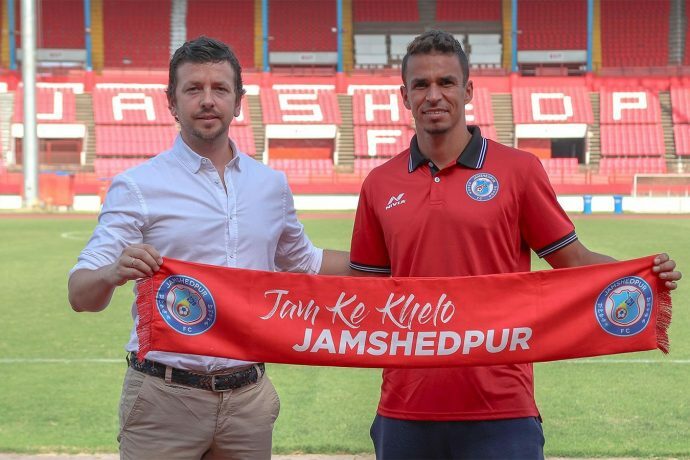 Jamshedpur FC midfielder Emerson Gomes de Moura (Memo) has signed a contract extension to stay put at the club for another season. The Brazilian stalwart joined Jamshedpur back in 2017 and has been one of the most consistent performers for the Miners over the past two seasons. The 31-year-old had an impressive Hero Indian Super League (Hero ISL) 2018-19 season and was one of the top 10 passers in the league. Memo also scored two all-important and goals for the club this campaign. Memo holds the unique record of having played in each of Jamshedpur’s 36 matches in the Hero ISL; starting from their inaugural 2017-18 season. This campaign, he has played for 1599 minutes, making 1116 passes with a passing accuracy of 84.49%.